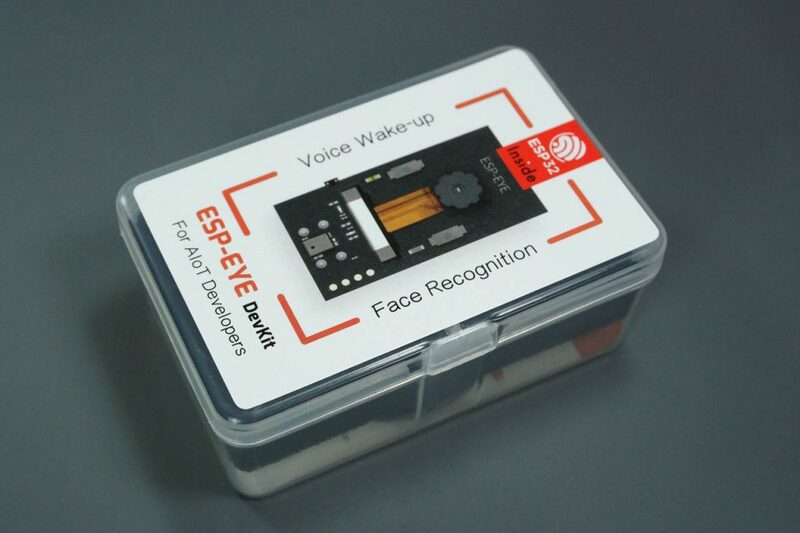 There is a new ESP32-based board dedicated to artificial intelligence (AI) with voice wake-up and face recognition. The board is not yet available to the general public. 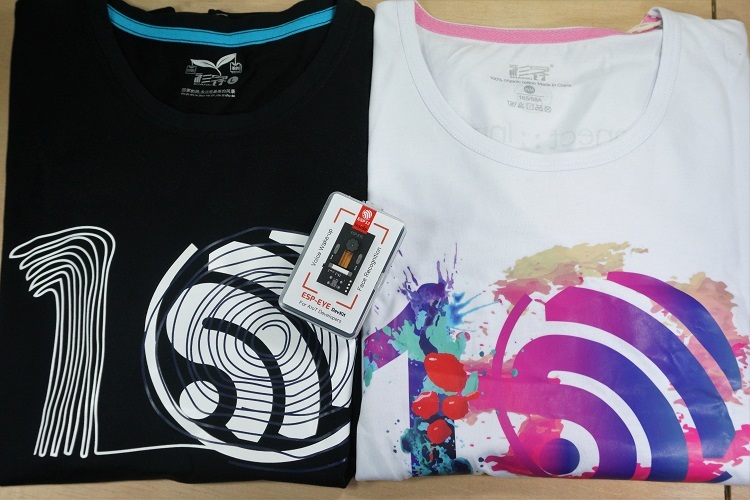 In the end of 2018, Espressif sent us an ESP-EYE development kit and a t-shirt to celebrate their 10 year anniversary. They were kind enough to sent a t-shirt for both of us (Rui and Sara). Taking a first look at the ESP-EYE board, I was impressed how small it was. Just with 21mm by 41mm, it is equiped with a 2 MP camera, on-board microphone, reset, boot, and function buttons and two LEDs. It features 4MB Flash, 8MB PSRAM, and Micro USB type-C connector. This board is exclusively dedicated to AI with voice wake up, and face detection and recognition. At the time of writing this article, there is a broad overview of the board on the Espressif website. There is also a purchase link to pre-order the board. It costs $19.99 and the estimated dispatch date is the end of March – you’ll still have to wait to get one. 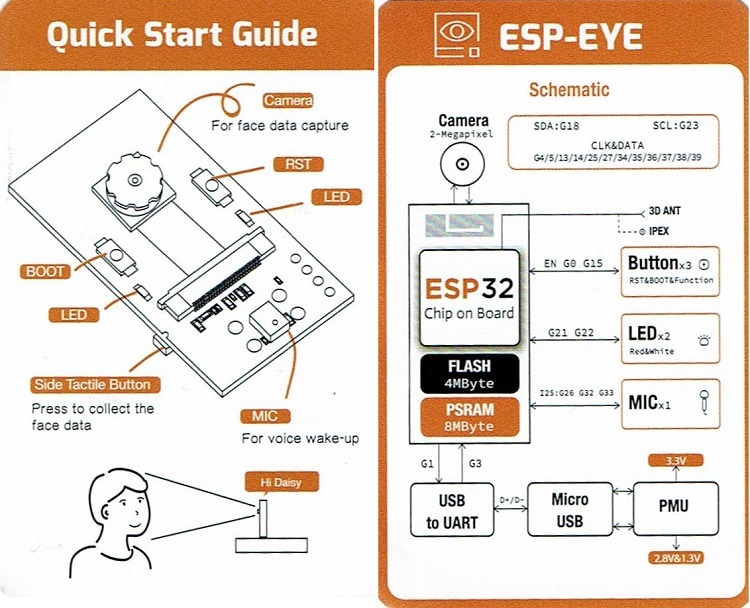 Inside the ESP-EYE package, they provide a quick start guide labeling the board and showing its main features. More information about the board can be found on the GitHub page or Espressif websites. 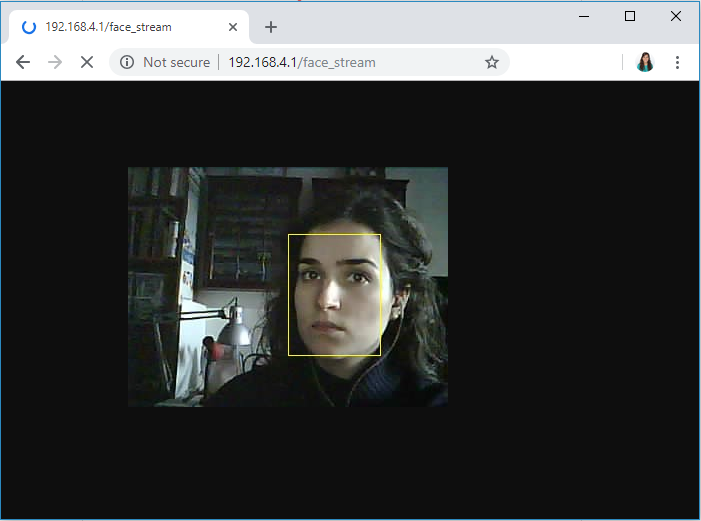 The ESP-EYE came flashed with the ESP-WHO facial recognition software. 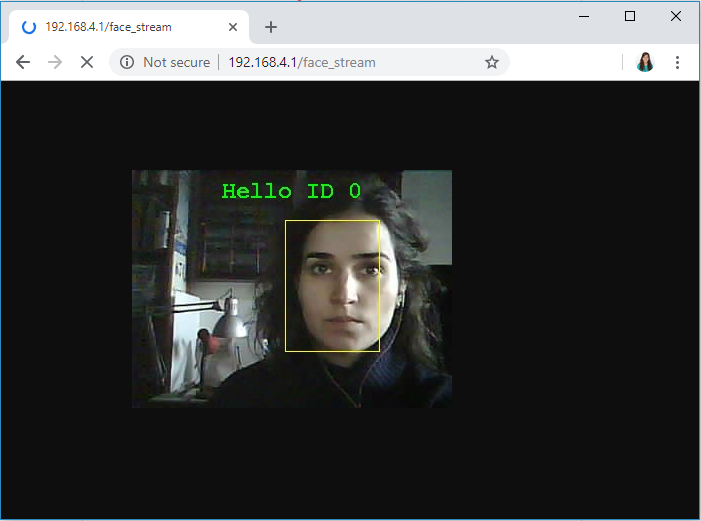 This allows us to build an IP camera that can detect faces and distinguish people. The GitHub page provides a schematic showing the ESP-EYE workflow. Basically, after applying power to the board, you should wake it up with voice commands. You should say “Hi Lexin” to wake it up. 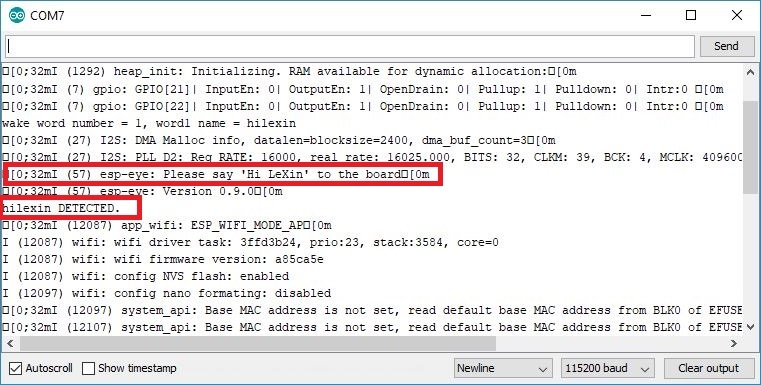 To better understand what’s going on, we’ve connected the board to our computer via Serial and used Arduino IDE Serial Monitor to see the messages (we could have used any other software). 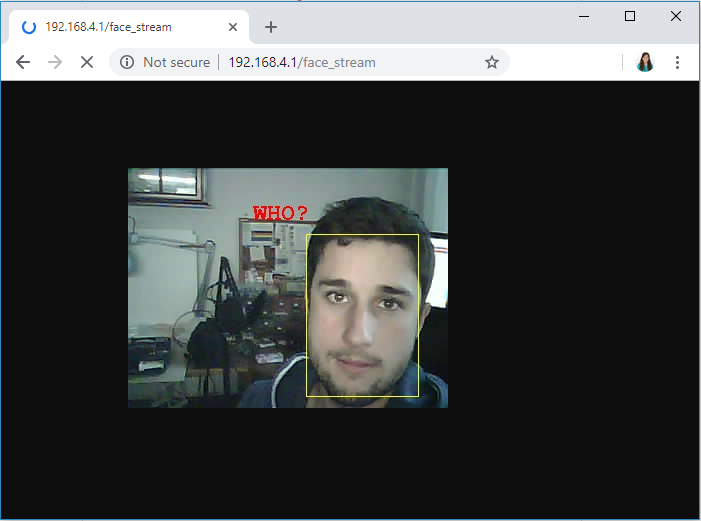 The video stream is slow (about two frames per second), therefore face recognition is also a bit slow. You can enroll a new face on the system by pressing the function button. It will associate the face with an ID. After that, it should easily recognize you, and displays a message saying “Hello” followed by the face ID. If it doesn’t know the face, it displays “Who?”. I really enjoyed playing with the ESP-EYE. 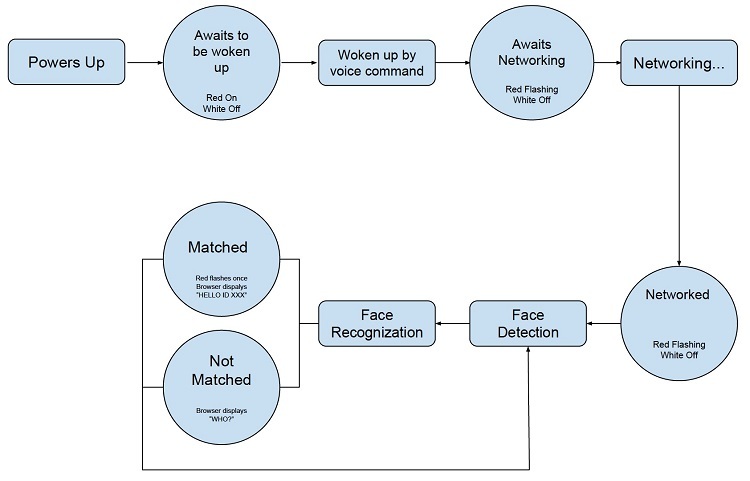 It will provide an affordable way to add voice wake-up and face detection and recognition to our projects. This is just awesome! 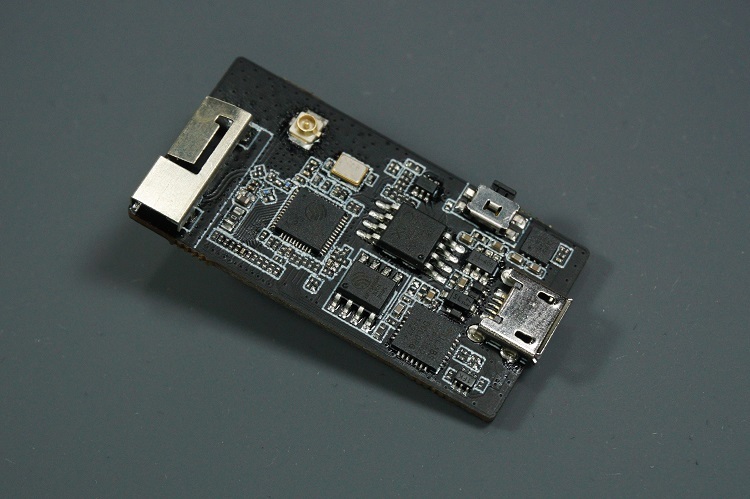 We would like to thank Espressif for sending us one ESP-EYE board to play with. Fantastic, can’t wait for one of these. Great size kit. Hope the price is good as well. At the moment, it is available for pre-order at mouser for $19.99. This is awesome! They really have a jump on the other platforms. I see that it has an UFL connector on it. Does that mean there is both internal and external antenna connections? Thanks for the review Rui, I really like your site and your programs. You can see the labeled board here: raw.githubusercontent.com/espressif/esp-who/master/docs/_static/get-started/esp-eye_callout.png it is easier to see its components. Thank you for commenting and supporting our work. 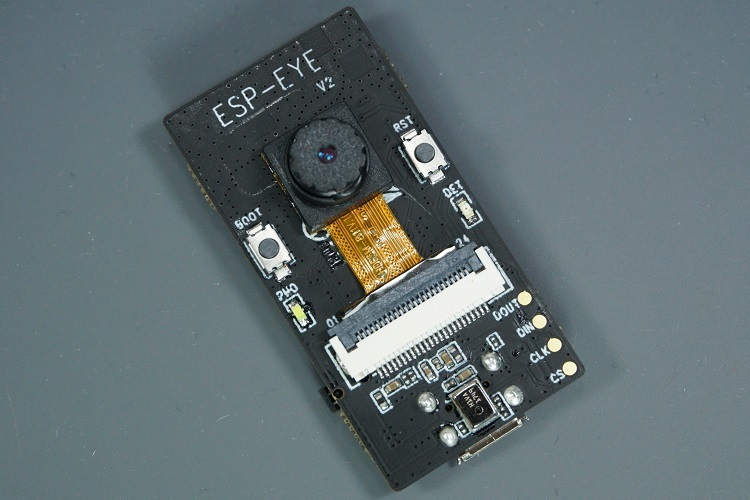 well done and nice review about the ESP-EYE. please make a video or upload a pdf about setting it up through arduino and using it in our projects for LIVE video recording.